The GM of the Centara Duangtawan Hotel, Boonchai Suwatsakulsawasd, and his management team welcome the popular singer Amitta Tata Young, here in the city for a performance. 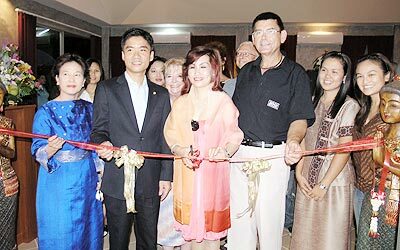 At the opening of Chiang Mai’s newest and very special health and wellness spa, Atcharawan Limlenglert cuts the ribbon, flanked by Alan Huang, Vice M.D.of the HTE Group, (left), and Reidar Ostensen, Managing Director of Soqi Chiang Mai, (right). 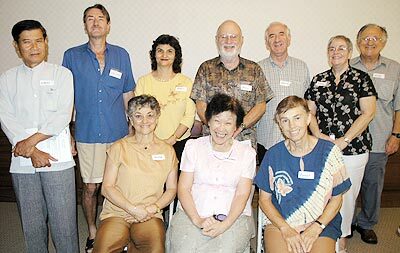 Many Lamps - One Light, a multi faith inspirational group, at their recent bi-monthly meeting at the Hillside 4 Condo building. 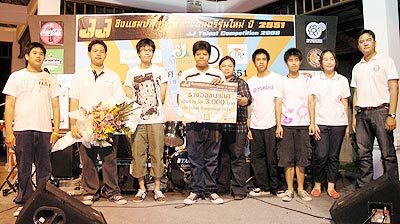 Winners of the first round of the JJ Talent Competition were “The Opposite”, who will go through to December’s final. Runners up were “Noodle Duck”, popular with regulars at The Pub, who get another chance in the semi final in November. Well-known local tenor Narat Kitavadhana’s performance last week at Baan Nai Fun 2 attracted an almost full house; if you missed it he’s there most Fridays and Saturdays. 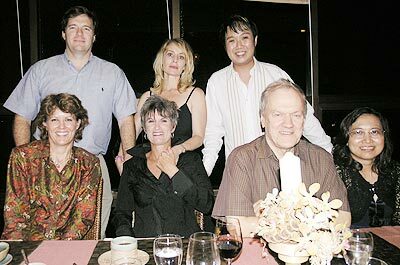 Pictured are Michael and Amber Ferry with Narat, (standing), and Dorothy Sells, Pam Brown, Ulf and Suwanit Thepper, (seated). Every Saturday night is ‘Lucky Draw Night’ at the Shangri-La Hotel. 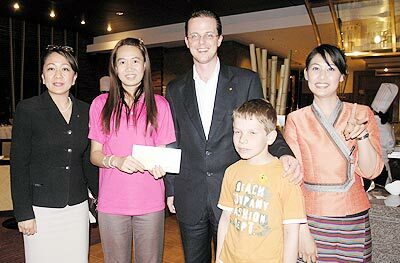 Sowanit Patoonwat, (2nd left), was the lucky winner of one night’s stay in one of the hotel’s “Premier” rooms, plus breakfast. 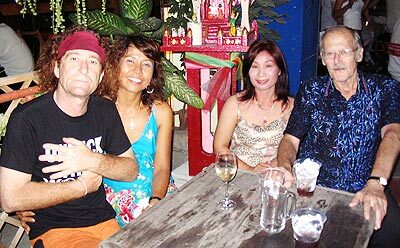 The proprietor of Dr Nick’s Bar, Nick Pyatt, with guests May, Tong and Bob, (l/r), at the grand opening. 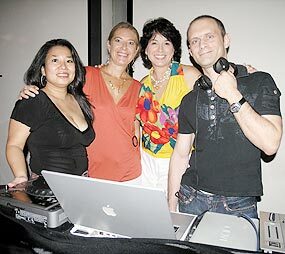 Mary Berbae celebrates her birthday at the Chedi recently, pictured here with friends Esther, Dominique and the DJ, Christof.